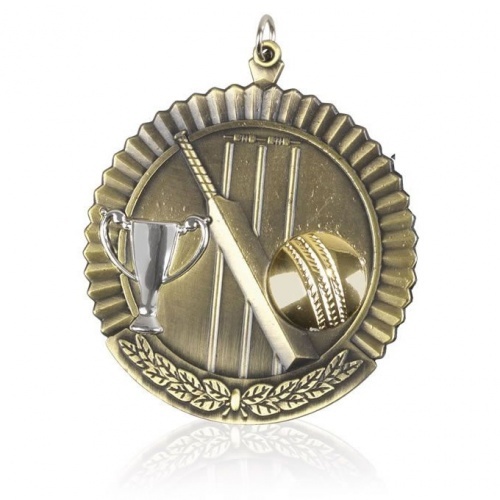 These metal cricket medals with ribbon loops are priced to sell, and are offered with optional medal sleeves or medal cases. 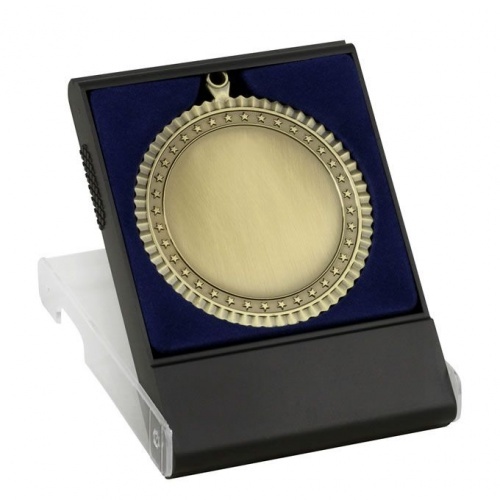 They feature a cricket scene on the front, with an antique gold colour finish, while the reverse is blank for engraving. 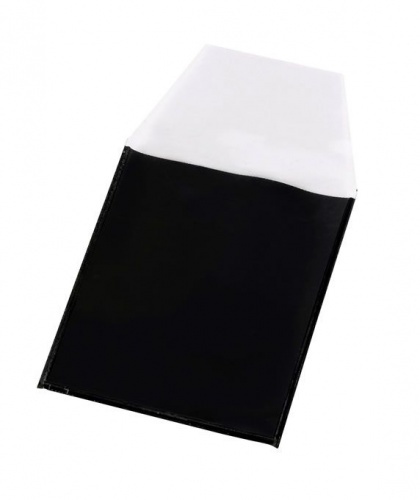 Offered with low, fixed-cost text engraving and free logo engraving.